Do you teach 2nd grade using Reading Wonders? 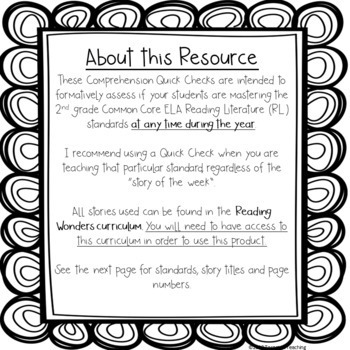 Do you need to quickly check if your students are nearing mastery of CCSS Reading Literature (RL) standards? Then these Comprehension Quick Checks are for you! 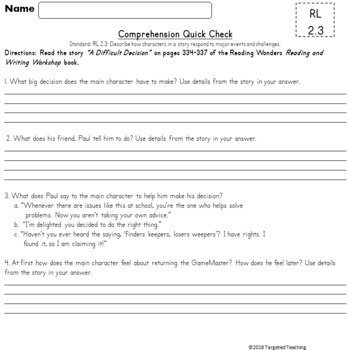 Aligned with stories from the 2nd grade Reading Wonders Reading Writing Workshop book, you can easily use these to see who is "getting it" and who is not. 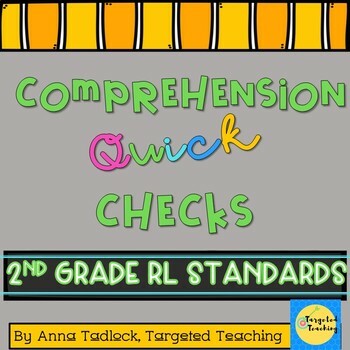 Check out this Freebie for 2.RL.1 to test out this product first! Get the full 2nd grade set for a reduced price with the RL and RI BUNDLE! Want to try 3rd Grade also? As a teacher-creator, I strive to provide busy teachers with targeted, intentional instructional resources so that they can maximize their students' learning, growth and achievement.